Premium, Large headed Rose, Colour: Red, Breeder: Kordes , Stem Length: 50-80cm, Bud Size: 5 BY 3.5(CM), No of Petals: 30 - 45, Vase life: 15 days. 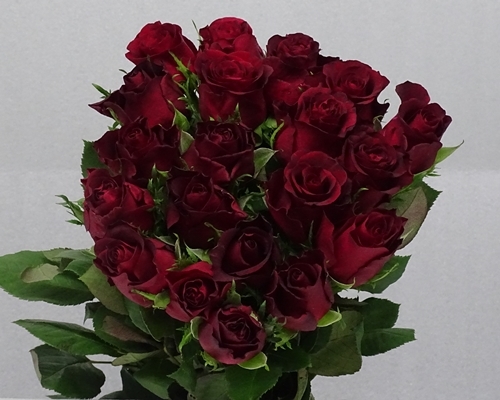 Premium, Large headed Rose, Colour: Red, Terra Nigra, Stem Length: 40-70cm, Vase life: 11 days. Premium, Large Headed Rose, Colour: Red, Breeder: Kordes, Stem Length: 40-80cm, Vase life: 14 days. Spray Rose, Colour: Red , Breeder: Interplant , Stem Length: 40-70cm, Vase life: 10-12 days.